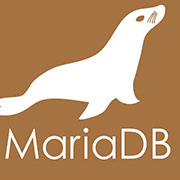 MariaDB&#174; Corporation, the recognized leader in open-source databases, announced the upcoming release of its big data analytics engine, MariaDB ColumnStore. “I’ve seen first-hand how traditional columnar appliances arose as reactions to the cost and complexity of Oracle. But these reactions have only increased complexity and cost further, and most importantly, over-looked critical features. In contrast, MariaDB ColumnStore is ACID compliant, blazingly fast, massively parallelized, and uses a distributed storage engine. What’s equally important is its front end--MariaDB, which provides the same interface, same security, same SQL richness simplifying management, reducing operating costs." 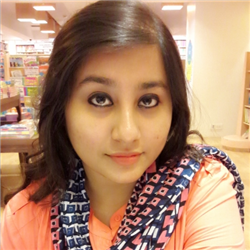 MariaDB ColumnStore is a columnar storage engine for massively parallel distributed query execution and data loading, It supports a huge spectrum of use cases which includes real-time, batch and algorithm. It easily performs complex aggregation, joins, and windowing functions at the data storage level in order to increase performance. MariaDB ColumnStore is Open Source GPL2, a fork based on InfiniDB and open source community contributions. The company has also announced new data streaming capability in MariaDB MaxScale which will simplify real-time data propagation to external Data Lakes or Data Warehouses. The new features allow transactions in MariaDB to be replicated in real time to Hadoop or any other data store. It also enables MaxScale and MariaDB to be configured in order to handle replication in mission critical applications, without the need to impact the performance, and it also includes all the essential metadata so that any program can easily read it with no pre-value overhead.